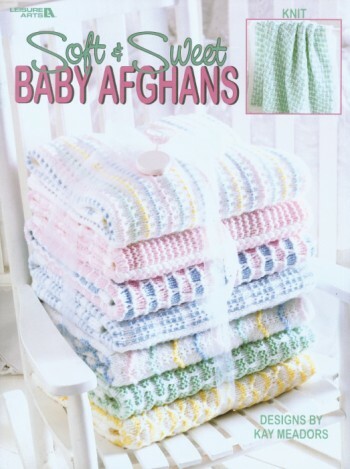 Treat a little one to your choice of seven snuggle-soft knitted afghans! These comfy throws are knit with two strands of sport weight yarn for maximum warmth. The pastel colors are almost as sweet as Baby, and the fun pattern stitches make knitting a pleasure!